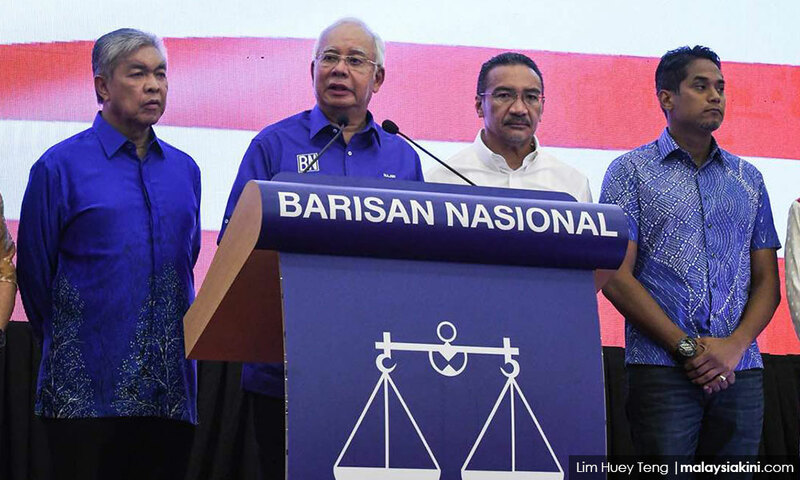 UPDATED 12.36PM | GE14 | Umno president Najib Abdul Razak has claimed that no party has won enough seats to form a federal government and that it is up to the Yang di-Pertuan Agong to decide who is the 7th prime minister of Malaysia. 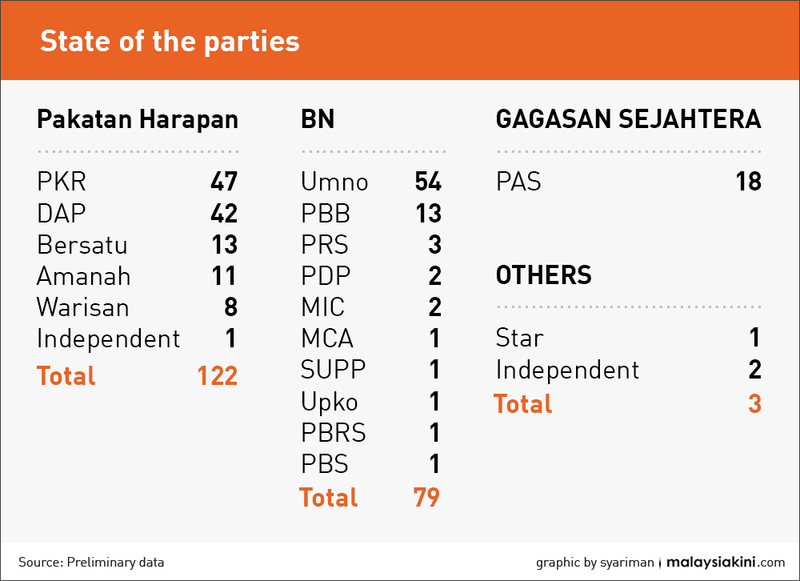 Pakatan Harapan, an informal coalition, had claimed victory last night. According to Election Commission verified results, PKR had won 104 seats while its ally DAP had won nine in Sabah and Sarawak, giving them a total of 113. A party needs 112 seats in order to form the federal government. 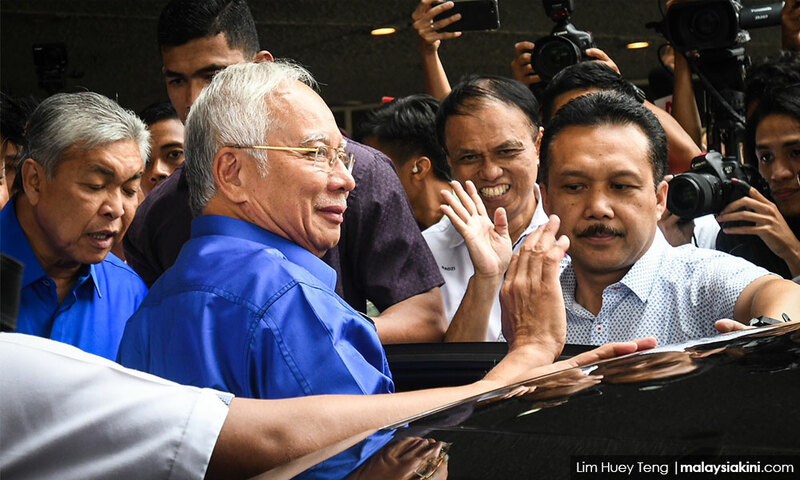 Najib said the Agong would make the decision on who would be PM, which constitutionally, is based on the principle of who has the support of Parliament. "BN will respect whoever is the Agong's choice, and I hope that all Malaysians will place their trust in the wisdom of the Agong to make the best choice," he said in a press conference today. Harapan chairperson Dr Mahathir Mohamad is the coalition's prime minister-designate. There was speculation that he would be sworn in this morning, but this has been postponed to an undisclosed date.